Everyone's got their favourite sleeping position. Whether you sleep on your side with a pillow between your knees, on your back or on your tummy – every angle requires the right pillow to support you. Quality sleep is imperative for good overall health and wellbeing, and a good pillow is essential for quality sleep. Whether you are resting your head on it at the end of a big day or swinging it wildly in a bedroom-based war, your pillow is your best friend (and weapon of choice) when it comes to sleep. While the spotlight often shines on mattresses, this humble hero is essential to achieving a good sleep posture and getting quality shut-eye. We all love a good pillow, but hanging on to them for years on end might not be the best idea. When your pillow reaches its use-by date, there’s no point fluffing around and clinging on to dreams once had - It’s time to move on. People often talk about the comfort of their pillow with the belief that they can ‘break down’ over time and fail to provide ample support. While this can be a good motivation for replacing an ageing pillow, the truth is found beneath the surface. While you sleep, pillows absorb your body’s perspiration, fluids, oils and skin cells over time. This results in an environment that allows nasties such as dust mites, moulds and mildews to thrive. A good indicator that it’s time to change your pillow is if you consistently have poor sleep or wake up with a sore neck and head. Is your pillow still ‘fresh’? Check your pillow for obvious stains or odours. 1. Put your pillow on a flat surface and fold it over in half. 2. Pop a sports shoe on top. 3. If the shoe flies off as your pillow bounces back into its original shape, your pillow is still in good form. 4. If the shoe stays there, or the pillow doesn't spring back into shape, it's time to buy a new pillow. The Australian Physiotherapy Association states that “selecting the right pillow will help ensure you sleep well and wake up feeling rested without pain or stiffness”. 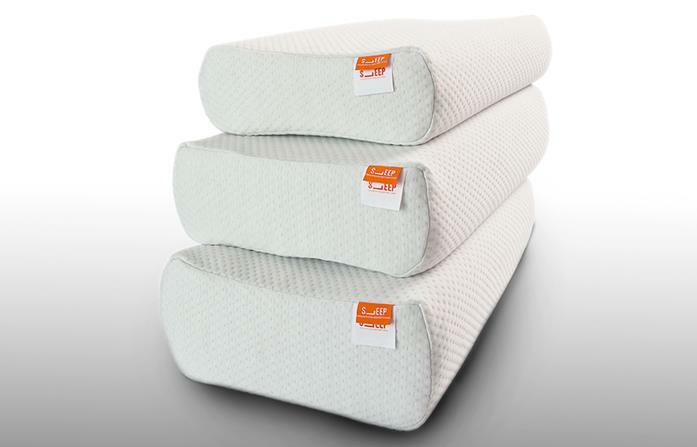 The ideal pillow will provide enough support to keep your neck and spine aligned while also being comfortable. A 2010 study found foam pillows that contour to fit the natural curve of the body when sleeping perform consistently better than feather pillows in reducing headaches and neck pain. SleepX offers a range of therapy pillows that conform to the shape of your head and neck, encouraging a good sleep posture and allowing increased airflow while you sleep. Made in Australia from high quality foams, they are non-allergenic, anti-bacterial and come with a machine-washable cover. SleepX pillows are also backed by a five-year warranty, so you know they’ll stay the distance.